All Aboard for an Adventure! 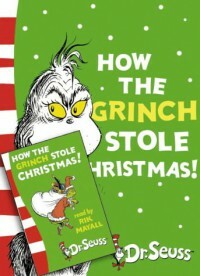 This book is another holiday classic that needs to be a part of every classroom library. 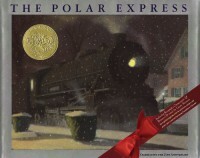 Most schools participate in "Polar express day" where the students watch the movie and drink hot chocolate. I would read this book the week before Christmas Break and before that specific day. That is how I would use this book in my classroom. It is written in a DRA reading level of DRA 30 and is meant to be read at kindergarten to second grade. This book is sure to get students pumped up for the break. It is a must have! 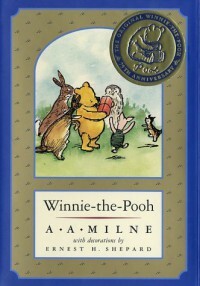 This book, along with all the tales of Winnie the Pooh, are some of my all time favorite stories. This cute story is filled with friendship and adventure. My cooperating teacher put aside the last part of the day when students were waiting for car riders and buses to be called, to read them a story. I loved that she made time for this, and that is exactly what I would do with this book in my classroom. This book is written on a DRA reading level of 40. It can be read with or to students of all students from kindergarten to fifth grade. It is a classic, and already part of my library. I love it! It would be silly for you not to love it too. If the title, alone, does not intrigue you, then you should still read this book anyway. 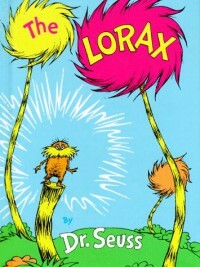 This book is a cute story about a boy who goes to the land where the lorax lives. During his time there you will read about the ways in which the town changes due to the chopping of truffula trees. It is written on a Lexile Reading scale level of 560 L. It is meant for an audience of kindergarten to second graders. This is a book I would read with students during Dr. Seuss week. After reading the book I would tell students to pick an activity based on their Tic Tac Toe Board of Activities for this book. Students would then either write or draw different topics from the book. It is a very cute book and I highly recommend it. This book is another Dr. Seuss classic. 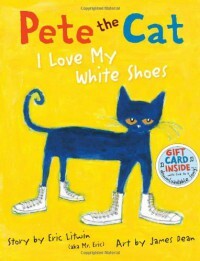 This is a silly book about a cat that does tons of wacky things. This book is sure to have your students giggling. 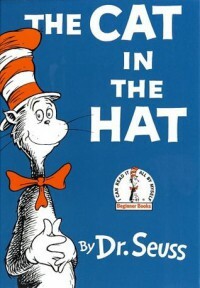 I would use this book during Dr. Seuss week and have students write a paragraph about what they would do if the cat in the hat came to their house. I would then get them to illustrate their work. It would be a cute book and a cute activity all together. This book is written on a DRA reading level of 16. It is recommended that this book be read with students from kindergarten to second grade. I highly recommend incorporating this book into your classroom! This book is a classic. It is a must read during the holiday season. It is a story about how everyone has love in their heart. Some people just need to be loved to uncover it. This book can be used in the classroom around the holidays as a fun story to read as a whole group and then do activities as a class based on the book, such as making an ornament. This book is on a DRA level of 38 and can be read with students from kindergarten to second grade. I personally, think that this book is a book for all elementary ages. This book is a sweet tale of giving and unconditional love. 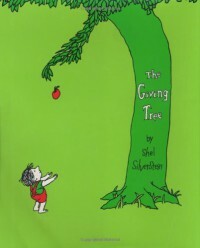 The tree loved the boy so much that she was willing to give him everything that she had. His happiness made her happy. This story was written on a DRA reading level of 30 and can be read with students in kindergarten to second grade. This book can be used in a classroom to help teach about giving and thanks around Thanksgiving. It is super sweet and I highly recommend it! Bridge to Teribithia is a Bridge to Adventure! This book is on a DRA reading level of 50, and can be read to audiences of third grade to eighth grade. I would use this in an older grade classroom because it deals with more mature topics, such as loss. It could be read in a class if one of your students is dealing with a loss, because sometimes it helps to hear about someone else who has dealt with loss and grief before. It would give them something to relate to. 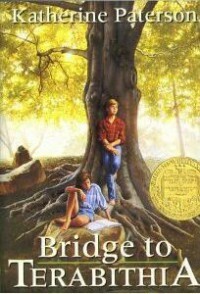 Aside from the grief in the story, there is a lot of adventure that gives the story an upbeat plot. I mean the story is about two unlikely friends that become best friends and adventure to their imaginary world of Terabithia. It is a wonderful story! If you read this book to your class, the students will probably giggle. This cute book is sure to have your students giggling every time you turn the page. This book is on a DRA reading level of 18. This book is meant four audiences of kindergarteners through second graders. 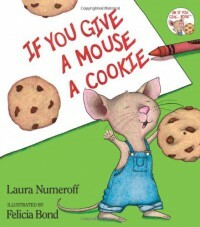 This book is just a fun story that shows the consequences of giving a mouse a cookie. Each consequence builds the plot to make larger consequences. It can be used in a classroom to teach the sequence of events in a story. You could also get students to write a paragraph about what else they think would happen if you gave a mouse a cookie. It is a cute and funny story. I love it! Feast your eyes upon this book! This book is one of my favorites because Eric Carle's illustrations are absolutely wonderful and so colorful! This would be a great book to help teach numbers and counting. This book is a DRA reading level 16. It is mostly meant for audience of kindergarteners. This makes sense due to its focus on counting. I love this book so much! First of all, how could anyone not love a Dr. Seuss book?! This book was written on a DRA reading level of 16, and can be read to audiences of kindergarten to fifth grade. This is a great book for schools that participate in Dr. Seuss week. It can also be used to teach rhyme. 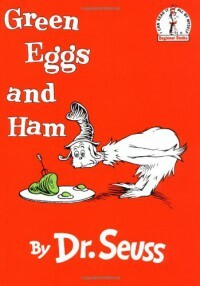 This silly story is sure to make your students giggle and want to try green eggs and ham. I encourage you to read it if you haven't! 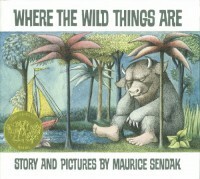 It would be wild not to have this book in your classroom! 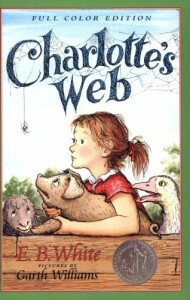 This book is probably one of the most well known picture books in the literary world. It was written on a DRA reading level of 16, but can be read to audiences of kindergarten all the way up to fifth grade. This book has a storyline where the main character wants to escape life at home and go to his imaginary world. He is made king where the wild things are. A cute way to incorporate this book into your classroom is to have students read it and then create their own imaginary world that they would escape to. This story is one that all children will enjoy. It is not my absolute favorite, but it is still a "must have" for your classroom. 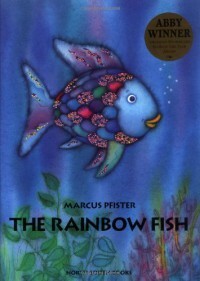 This book was my favorite book as a child. It was written on a DRA reading level of 24, but can be read to students from kindergarten to second grade. This story is a beautiful story about uniqueness and loving what makes you different. 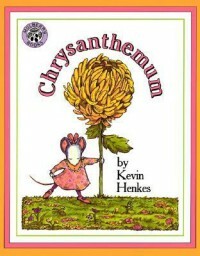 Chrysanthemum loves her name until she gets picked on at school. Of course, thanks to a teacher's help she learns to love her name again. It is so cute and sweet. You could use this book in a classroom in the spring to introduce a science lesson on plants and flowers. I love everything about this book! Do you need this book? Goodness yes! I worked at a preschool and this book was my students' absolute favorite book. We had the c.d. and listened along while reading the book. This book is on a DRA reading level of 18, and can be read to students from kindergarten to second grade. It can be used with curriculum to teach colors or adjectives. This book is so cute, and I love the illustrations. It is a must have for teaching younger grade levels. Fishing for a good book? Here's one! This cute, little book is written on a DRA reading level of 24. This book can be read to all elementary grades levels as a lesson or a reminder on why it is important to share. Sharing is something all kids struggle with, so teaching the importance of it could make a major difference in some students' lives. Some Book about Some Pig and it's Terrific! This book was always one of my favorites as a child. It was written on a DRA reading level of 40, or for audiences of third through eighth grade. This book can be used in a classroom to assist teachers in covering a vast variety of topics in their curriculum. An example of one of these topics would be personification. This is exhibited throughout the course of the entire book. Aside from the terrific content that is within this book, this is a wonderful story that would warm anyone's heart. I highly recommend it! This book was a cute way to demonstrate different points of views. It was written on a DRA reading level of 16. Teachers from kindergarten to early second grade could read this book to their classroom. The teacher could show students the cover and ask them what animal is on the cover. 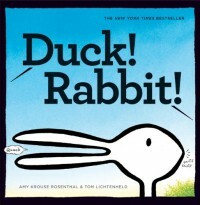 This book shows students that there is a different ways to look at things. It is all about the perspective they take on different items and situations. I think this book is adorable, and kids will think it is hilarious!